Richard White lives in the North East Victorian town of Mansfield. He has been involved in photography for over 30 years. What began as a hobby has turned into a lifelong passion. Basically a self taught photographer, although in the early years, Richard attended many workshops to better his craft. His work has been influenced by some of the giants of photography, but mainly Ansel Adams, Morley Baer, Brett Weston, Bill Brandt, Arnold Newman and others. Not only their photography, but their philosophy and approach to life. He writes regular articles for a national photography magazine, Better Photography and occasionally for other international magazines. As a member of the Australian Institute of Professional Photography he served as a Victorian State Division councillor and as President of that division for over 8 years. His work has won more than 40 silver awards and a gold award at the Victorian and Australian AIPP National Photography Awards. 1985 to 1997 ran a photographic Studio in Benalla, Victoria. 1995 began The Art of Photography Workshop program teaching workshops at his studio and darkroom in Mansfield and at locations around the state as well as interstate and overseas. 1997 he was awarded his Associateship with the A.I.P.P. 2001 he became a Master of Photography with the A.I.P.P. 2003 he won the landscape section of the Victorian Professional Photography Awards. 2003 was awarded a Victorian Government Arts Council Grant to study photography in the USA. 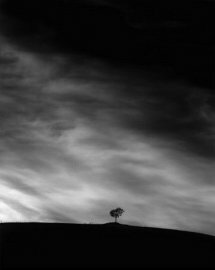 2004 was a finalist in the Landscape section of the Victorian Professional Photography Awards. 2007 obtained a gold bar for continued excellence in Photography. 2010 Was made a Fellow of the Australian Institute of Professional Photography. 2010 - 2015 High Country Calendar awarded for excellence in content, design and printing winning Gold, silver and bronze in that time. In 2015 The High Country of Australia book winning a Gold Award at the AIPP book awards. Richard has exhibited locally and Statewide for several years and is known for his high quality photographs. Each year he offers a large format Black and White calendar on the High Country, produces a range of black & white postcards and has also worked on major documentary projects for television. “I have been asked why do I photograph? Well basically I am compelled to. It’s as simple as that. I am always looking for the beauty in front of me. Trying to make images from my heart with technical information from my head. Trying to make a visual communication. Hopefully it will give others an appreciation of what is there and with luck it will elicit an emotional response from the viewer”. In 2013, released a Limited Edition book titled Places I’ve Been - A Journey Through Photography. Showcasing 50 of his images from Australia and overseas accompanied by a detailed account of how the images were conceived and produced. In 2014, released a standard and Limited Edition book on the High Country of Australia.